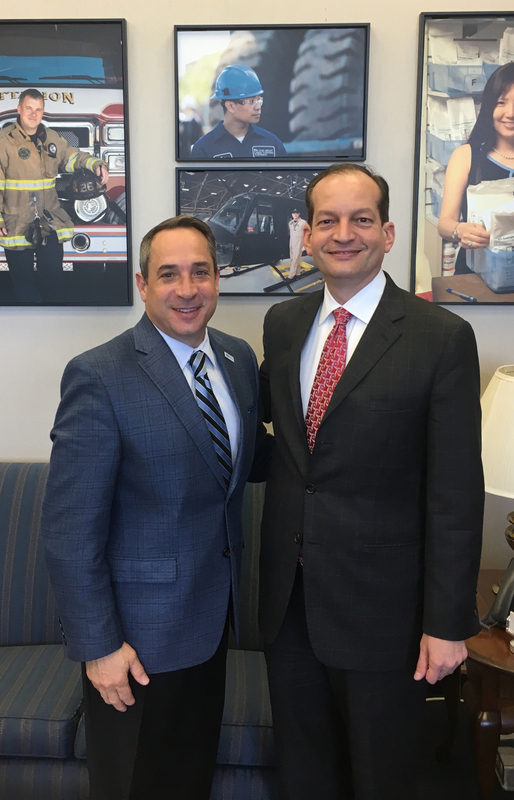 Councilman Matt Zone, Cleveland City Council, Ward 15 at the United States Department of Labor headquarters in Washington D.C. visiting Secretary of Labor R. Alexander Acosta. If you look in the background, you will see a framed photo of a Great Lakes Shipyard worker hanging on the wall at the Department of Labor headquarters. The Great Lakes Towing Company is thankful for all the support that Councilman Zone has provided over the years, including sharing this great photo with The Company!